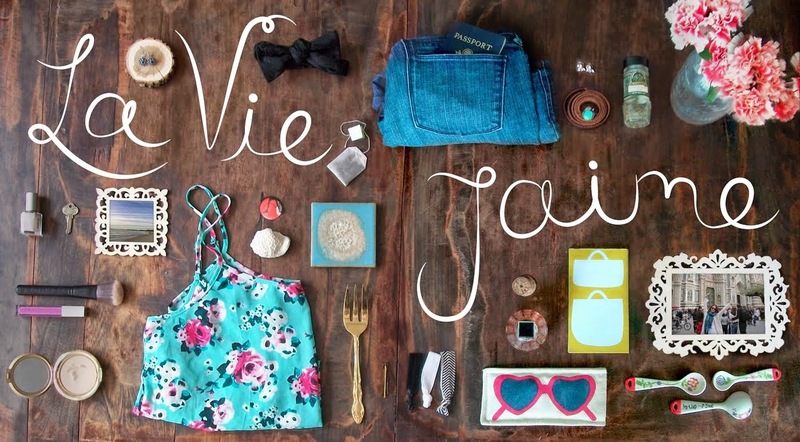 La vie Jaime : What I'm Wearing Wed and @StyleBoston clip! What I'm Wearing Wed and @StyleBoston clip! Old Navy safari jacket- a steal at $25! Flower pins: blue- H&M; pink & rhinestone- can't remember! Also, my StyleBoston segment airs tonight! If you're in Boston or get the channel NECN, it airs at 7:30. For now, here's a short clip I received, and check out more on StyleBoston's blog. Great outfit! Love the jacket and the pins. Love the flower pins! So cute! Cute outfit! You definitely mix casual with chic and make it rock, love it :) Hope you have a great St. Patty's Day! Love that jacket and the vid! love the little flower accents. gorgeous dahling! That is a steal! I just bought 2 linen dresses for $20 each from Old Navy! SCORE! I do love that jacket. Happy St PAttys! Ah Jaime I love you in that clip - you look GORGEOUS! Please tell me you got to keep the clothes!! You look awesome, love the jacket!! Great find with the jacket! hahha I love this post! You look so cute standing there with the smile on your face. i love it. I also love the militaryish look they had you in with the blue. Also, love your fit today! love the outfit and YEA for tonight's show!